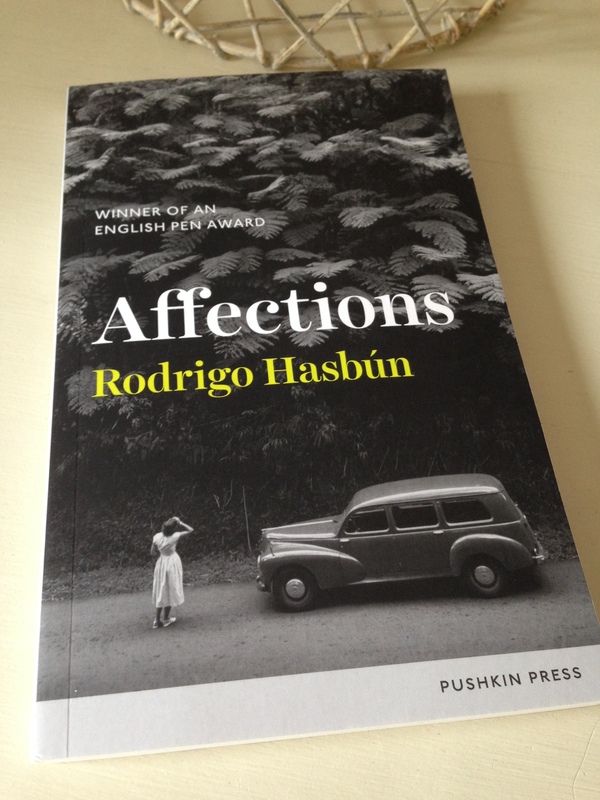 First published in Spanish in 2015, Affections is the second novel by the Bolivian writer Rodrigo Hasbún (his first to be translated into English). Hasbún is something of a rising star in Latin American literature circles. In 2007 he was named as one of the Bogotá 39, the 39 most important Latin American writers under the age of 39; moreover, in 2010 he was included in Granta’s list of the twenty-two best young writers in Spanish. (Hasbún was born in 1981.) In light of this pedigree, I was keen to read Affections, especially given the timing as July is Spanish literature month. The focus of Affections is an unusual one. Hasbún’s novella is work of fiction inspired by real figures and historical events from the 1950s and ‘60s. The story revolves around the work and family life of Hans Ertl, the renowned cinematographer who is perhaps most famous for his collaborations with the German film-maker and Nazi propagandist Leni Riefenstahl. (Triumph des Willens and Olympia, both filmed in the 19030s, were two of Riefenstahl’s best-known works.) Affections, however, concerns itself with a later period in Ertl’s life, the time directly following his move to Bolivia in the mid-1950s. The novella opens in 1955, just over a year after Ertl, his wife (Aurelia), and their three daughters (Monika, Heidi and Trixi) travelled to Bolivia to settle in the city of La Paz. I say ‘settle’, however nothing about the family’s new life feels very stable; right from the start they consider themselves outsiders, interlopers from a very different part of the world. Here’s Heidi’s perspective on their situation. Keen to embark on a new mission in Bolivia, Hans Ertl sets off in search of Paitití, an old Inca city hidden deep in the midst of the Amazon rainforests. Accompanying him on the visit are his two eldest daughters, Monika and Heidi, plus a fellow adventurer, Rudi, and an entomologist by the name of Miss Burgl. What starts out as the story of the early stages of the group’s expedition soon morphs into something very different indeed. As the chapters slip by, it becomes increasingly clear that Affections is primarily concerned with the falling apart of Ertl’s family as their lives start to unravel on the page. In some ways, Affections feels like the literary equivalent of a collage, a series of snapshots and scrapbook entries conveyed by way of a sequence of loosely connected chapters. The role of narrator passes backwards and forwards from Heidi to Trixi to Monika; other sections are reflected through the eyes of some of the other main players in the girls’ lives, most notably Monika’s brother-in-law and brief lover, Reinhard. While various things happen to the family over the course of some 20 years, Hasbún seems more concerned with feelings and experiences than conventional aspects of plot and character development. In some respects, Affections is a novel about the different phases of our lives, the various endings and new beginnings we all experience as we move from one stage in our transitory existence to the next. I knew I couldn’t leave without finding Monika first, without convincing her to forget all that, to start a new life with me where nobody knew us. Our parents had done it, and Heidi too, in her own way. As a novel, it also has much to say about the various facets of our character, how different people tend to views us, and the challenges of reconciling these different identities into a complete whole. Never is this more relevant than when the focus falls on Monika, a woman who seems to represent so many disparate things to those around her. There is a strong sense of dislocation and isolation running through this intriguing collection of snapshots, especially when we hear from Monika herself – the use of a second-person narrative gives her vignettes a very distinctive feel. Ultimately, Affections is a mercurial, shapeshifting work, a disorientating novella that raises as many questions as it answers. As a piece of art, it leaves much to the reader’s curiosity and imagination, and that’s no bad thing in my book. Grant and Stu have also reviewed this one for SLM. Affections is published by Pushkin Press; my thanks to the publishers for kindly providing a review copy. This entry was posted in Book Reviews, Hasbún Rodrigo and tagged #SpanishLitMonth, #TranslationThurs, Bolivia, Fiction, Literature in Translation, Novella, Pushkin Press, Rodrigo Hasbún, Sophie Hughes on July 24, 2016 by JacquiWine.